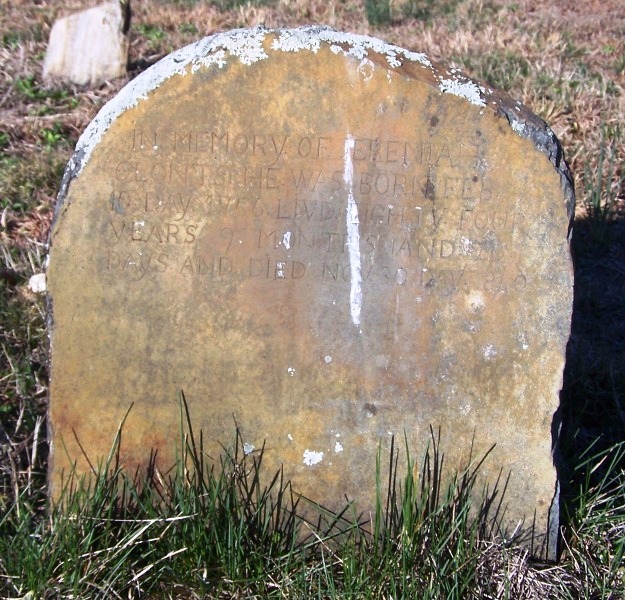 Michael emigrated at the age of 4 with his older sister Anna M. and parents aboard the Adventure that sailed from Rotterdam Holland to Cowes in Britain, arriving at Phladelphia PA on Sep 23, 1732. The Ship List lists him as Micalle Glance, aged 4, the youngest boy on the list. 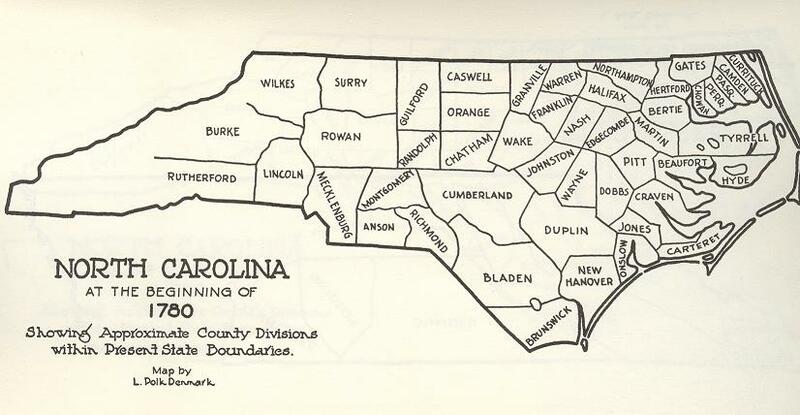 Map of North Carolina Counties in 1780, showing location of Mecklenburg County. 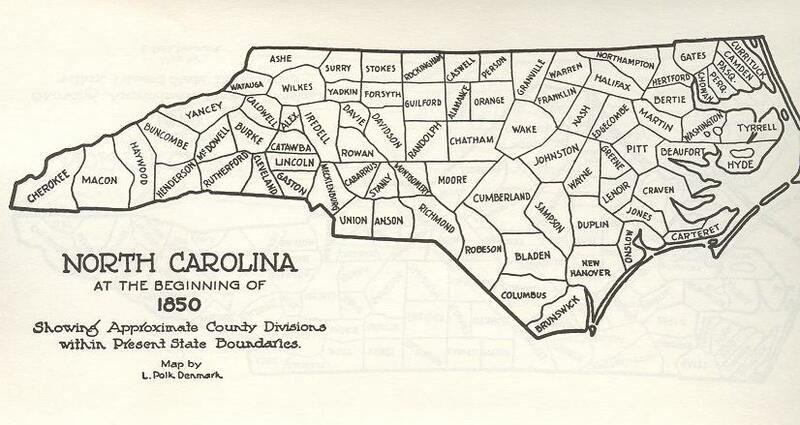 Map of NC counties in 1800. Son Jeremiah (Jeremias) was a corporal in the Revolutionary War. He is buried in Union Cemetery, Goose Creek Twp., Union Co. NC. along side his wife Anna Catherine. Photo of Jeremiah's grave marker. 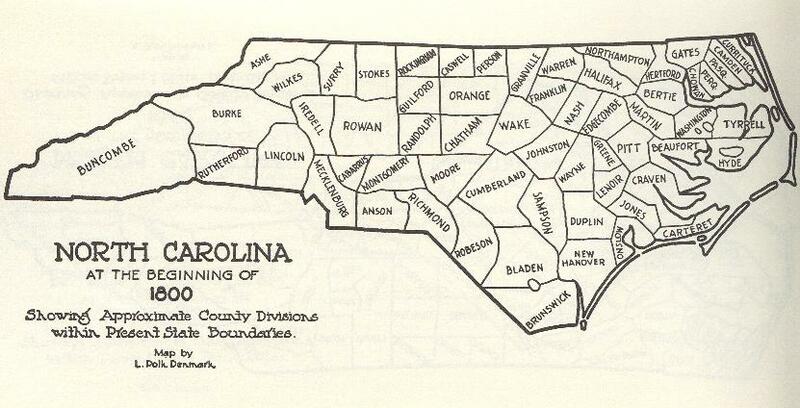 Union County was formed in 1842 from Mecklenburg and Anson counties (Map). Boyer, Carl, Ed., Ship Passenger Lists, Pa. & Del., 1641-1825, 1980, 4:69. Clonts, T.L. The Clonts Family, Oviedo, Florida, 1988; also on microfilm: Salt Lake City, filmed by the Genealogical Society of Utah, 199O. Tidwell,Ettie, comp., McCall-Tidwell and Allied Families, Atlanta, 1931. Union Cemetery records, Brief, Goosse Creek Twp., Union Co. NC.